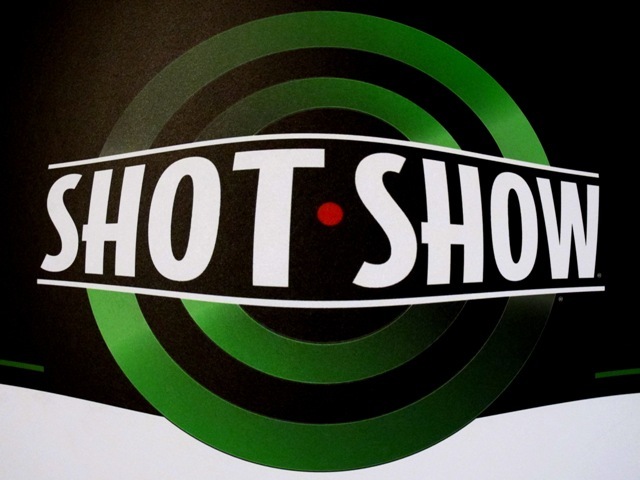 Home / Videos / SHOT Show 2014 / SHOT Show 2014 – It’s a wrap!! SHOT Show 2014 – It’s a wrap!! Note to self; don’t go to Las Vegas and get sick!!!! My nightmare come true, courtesy of some bad shrimp or water or something. My range of movement was limited to around 25 yards from the restrooms, Monday through mid-Thursday, and so I did not get nearly as much done as I had planned. And even when I was able to break my tether for a few minutes, I just wasn’t at my best. Sorry, I had big plans for killer reports, just wasn’t in the cards this time. Before the show, I had marked my show planner with 187 exhibitors that I wanted to see. Of course, that is impossible even at full strength. I did whittle that down to a serious 110, and ended up actually visiting about 20. This was the year of the Gas Ram, since all makers seemed to either come out with one or to improve on an existing version. Alternately, this could have been the year of the Big Bore, since we are getting into 50 cal semi-autos now and almost every maker is building at least a .25 cal gun. Or, it could be the year of the USB drive, as many of the catalogs were provided on USB drive instead of paper. I like it, less to lug around. Jeff Foxworthy was supposed to be signing autographs at an exhibit, but cancelled due to illness. I could relate. I had a joke I wanted him to tell for me on camera, if he was willing; “you just might be a redneck airgunner if you bought a pellet gun because it was advertised as a ‘good beer can shooter’, but you just can’t figure out how to load the cans in the gun”. Yup, Media Day at the Range was very cool. Only one airgun vendor (Crosman), but plenty of other stuff to do, see, and yes, to shoot. I hope to go for the full day next year. I’ve had quite a bit of experience with interviews, and brought my trusted lavalier microphone and audio system. But I’ve never interviewed in a room with background noise of 100 + decibels. So my equipment was pretty much useless. Paul Capello let me borrow one of his ‘spare’ directional mics or I wouldn’t have had any audio to accompany my video. Thanks Paul!! And I brought all my lightest video equipment, thinking that I would get tired from hauling the heavier stuff around all day. That may be so, but the quality is so much better with the good equipment that it would have been worth it, even if I had to hire a bearer. Odd, with some 65,000 people at the show, you still randomly run into people you know. Or know of. Let’s see, Michael McKeown, Tim McMurray, Rick Eustler, Ted from Madison, Joe Brancato, Eric Henderson, Terry Doe, and even Wayne LaPierre and Ted Nugent. Others I had made arrangements to meet up with, like Randy Bimrose, Bob Sloan, and Jim Stanis. And I gather there were many more airgun types around that I didn’t meet. Maybe next year. So, who else didn’t I meet? How about Yellow Forum owner Steve in CT, or Jim Chapman, or Tom Gaylord, all of whom were apparently wandering around the show. I must have just missed them here and there. I did get together with everyone I had scheduled, just not always as scheduled. And while I met Ton Jones of Air Force, I never got a chance to take him aside and do a proper interview. Same with Paul Capello. Bummer. My biggest regrets? Aside from spending most of the show in the restroom, I regret that I didn’t get an interview with Simon Moore from BSA, who was said to be stationed at the GAMO exhibit. I mean, really, does anybody know what the heck is going on at BSA? For that matter, I regret that I didn’t spend any real time at GAMO, Webley, Walther, Pardini, or hardly any of the optics or target/range exhibitors. But my biggest regret is that I didn’t get a formal interview with the Air Force folks. They are just great people and I would have loved to have them tell the story of the new Escape rifles directly. Missed opportunity, it seems. If you notice in the videos, almost everybody at the Show has a Gamo tote bag. Gamo was giving them away in 2012 when I was there, and was still giving them away in 2014, sometimes by the same people handing them out. They must have gotten a heck of deal on these bags to be giving them away year after year. But swag just wasn’t as big of a deal to me this time. I guess because I was working. No time to wander the halls and find all the cool little doo-dads and such. I did score a Diana hat, shirt, and pen, a lot of usb drives, some other pens. And even some pens that had the usb drives built right into them. But not too much airgunwise. Oh well, less to pack home. I had two main goals for the Show. First, I wanted to report to the airgunning public about what was being presented at the Show. That was my job, and I did as much of that as I could. Second, although the Show is not the story, I hoped to provide a glimpse of the SHOT Show experience for those who don’t attend. I am very fortunate that I do, and yet am enough of a neophyte that I am still dazzled by the spectacle. I’m hoping some feel for the Show came through in the videos and posts. That’s a wrap!!! Now back to the real world of reviewing and fixing and posting videos about it. Check back often, and thanks for stopping by! !